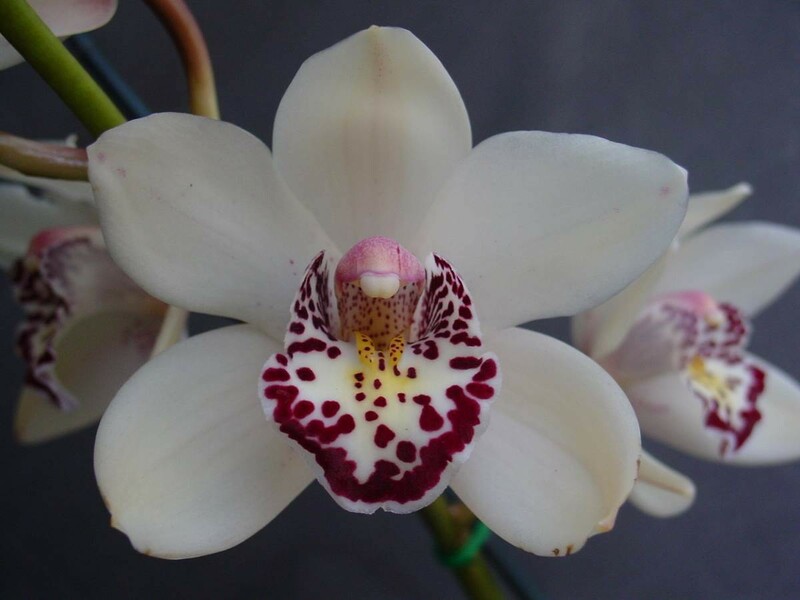 Another early flowering cymbidium but this one is white with a red spotted labellum and is influenced by Peter Pan. Flowers from March for us. Cloned again due to its popularity and heat tolerance. Intermediate in size.